Already acclaimed as one of the leading novelists of his generation, Widerberg turned to film criticism in the early 1960s. In 1962, he published a collection of essays, "Vision in the Swedish Cinema," which vociferously denounced Swedish film as rarefied and oblivious to everyday, contemporary issues; Ingmar Bergman was singled out as the primary offender. The following year, Widerberg turned from fiery prose to practice, directing his first feature, "The Baby Carriage" (1963). "Raven's End" (1964), an autobiographical film about a young man's struggle to strike out on his own, earned the director the first of three Oscar nominations for Best Foreign-Language Film and was named as one of Sweden's best films by a Stockholm arts publication in 1995. Widerberg gained international acclaim with the lyrically photographed "Elvira Madigan" (1967), which recounted the true story of a doomed love affair in morally oppressive 19th-century Sweden. He subsequently made two glossy but effective films centered on the plight of the working class; "Adalen 31" (1969), about a bloody strike in Northern Sweden, which won a Special Jury Prize at Cannes and an Oscar nomination, and "Joe Hill" (1971), a biopic of the legendary American labor leader. Joe Hill is a biopic of the Swedish-American labor activist, written, directed and edited by Bo Widerberg. In 1902, Joel Emmanuel Hagglund and his brother, Paul, left Sweden and entered the United States. For this new life, Joel became Joseph Hillstrom -- and, eventually, Joe Hill. The film details Joe's move west, where he became one of the most colorful and important organizers in the Industrial Workers of the World (IWW), and ends with his trial for murder and subsequent execution. It stars Thommy Berggren, Ania Schmidt, Kelvin Malave, Evert Anderson, Cathy Smith and Hasse Persson. The movie won the Jury Prize at the 1971 Cannes Film Festival. Six year old Johan, a.k.a. Fimpen, loves football. One day his talents are discovered. It doesn't take long before Fimpen gets to travel around with the national team. Fimpen becomes an idol and media wants a piece of him all the time. -- En liten film om Fimpen – a newly commissioned interview film with Johan Bergman ("Fimpen"), Magnus Harenstam and Lise-Lotte Vaerum (actors), Ralf Edstrom, Ronnie Hellstrom and Roland Sandberg (football players), Johan Bergstrom (executive producer), John O Olsson (photographer), Lasse Lundberg and Owe Svensson (audio engineers) and Jesper Hogstrom (football historian). By Stefan Nylen. 51 minutes. 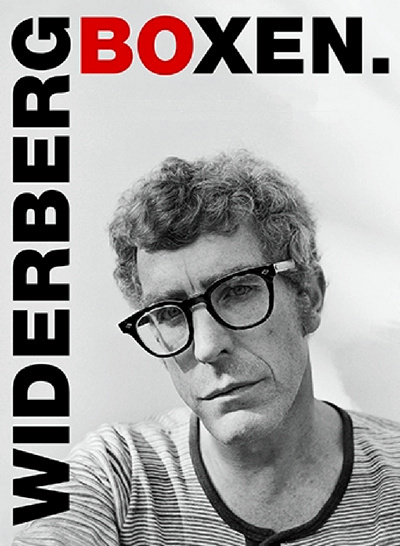 -- Bo Widerberg – a unique portrait by Karsten Wedel from 1977, made at the same time as Fimpen and as Widerberg's failed attempt of staging Long Day's Journey into Night at Dramaten in Stockholm. 36 minutes. -- 6 advertisements for Volvo created by Bo Widerberg between 1972 and 1973. 7 minutes. Norway 1880s. Johannes - a milner's son - is a boy closely connected to nature, even feeding the birdlings in their nests. From time to time he performs chores for the Lord of the manor, such as ferrying the Lord's daughter Victoria and her friends amongst the islands in the fjords. The boy and the girl connect. Years pass. Johannes and Victoria rekindle their friendship after years apart. Their feelings grow. -- Victoria, en film om karlek – a newly commissioned interview with Michela Jolin och Pia Skagermark (actors), Harald Hamrell (actor and executive producer), Stefan Jarl (production manager) and Bengt Eklund (journalist). By Stefan Nylen. 46 minutes. -- Audio commentary track with Michaela Jolin and Harald Hamrell. -- Interview with Bo Widerberg and Michaela Jolin by Jarl Alfredius in Swedish television, broadcasted the 1 of February 1987. 12 minutes. -- A picture gallery of German lobby cards. A TV-play by Bo Widerberg based on Arthur Miller's play Death of a Salesman. Willy Loman is a drummer who hates his job, where he constantly gets run over by young talents. He has suicidal thoughts and has a strained relationship with his eldest son Biff, who, like his father comes to lie about his life to hide some dirty secrets. -- En handelsresandes fodelse – a report from 1979, showing Bo Widerberg working on the TV-play En handelsresandes dod. By Tord Paag. 50 minutes. -- Newly commissioned interviews with Stefan Jarl and Jonas Bergstrom. Malmo, Sweden during WWII. Stig is a 15 year old pupil on the verge of adulthood. Viola is 37 years old and his teacher. He is attracted by her beauty and maturity. She is drawn to him by his youth and innocence, a god-sent relief from her drunk and miserable husband. They start a passionate and forbidden relationship - but it has consequences they never could have expected. -- Lust och fagring, en film om Bo Widerbergs sista – a newly commissioned interview film with Johan Widerberg, Marika Lagercrantz and Nina Gunke (actors), Jimmy Karlsson (executive producer) and Bo Widerberg (interview from the archive). By Stefan Nylen. 59 minutes. When director Bo Widerberg died, in May 1997, there was no choice for Stefan Jarl. Bo Widerberg is namely not only one of his role models, he was also a close friend. Life at Any Cost is therefore both a film of tribute and a portrait of one of Sweden’s most gifted filmmakers of all time. But besides its sad contents, Life at Any Cost is also a very funny film. Not in the least thanks to Bo Widerberg’s favorite actor Thommy Berggren, who in this memorable film delivers one of his best performances. -- Koltrasten – a newly made short film from 2014 by Stefan Jarl. 3 minutes. -- Thommy Berggren pursues the story about Ingmar Bergman and the film Tystnaden. 3 minutes. -- Bo Widerberg regisserar – A film by Stefan Nylen and Thomas Ehrnborg. From the shooting of Widerberg's last feature film Lust och fagring stor. Behind the camera: Jan Troell. 38 minutes. -- Pojken och draken – Bo Widerberg's and Jan Troell's common debut from 1962 with an introduction by Jan Troell. 29 minutes. -- Tvabarnsmor, vantande hennes tredje – Bo Widerberg's interview short with Vanessa Redgrave from 1970 with an introduction by Peter Schildt. 15 minutes.